To start, I need to put this into context for people who have not attended an English birthday party: You go to the birthday person’s house (laden with booze) or to a bar. You get drunk, dance, tell bad jokes and possibly pass out on the floor somewhere. There might be a few nibbles, namely cheese & pineapple on sticks and possibly a few sausage rolls. But mainly… it’s about the drinking… or as we say “partying”. Greetings done, you’ll now be offered coffee/tea and some cake. Yes, you read that right – CAKE!!! At the beginning of a party – surely that’s a dessert!? Chairs are arranged into a circle formation and people chat politely about the weather and so on for several hours or until the cake is gone. 4. Alcohol – woo hoo! Then it’s time for an alcoholic drink. Woo hoo! Party time!!!!!!!!! Right!? Wrong. There’s no music and you continue to sit in a circle and chat with your circle party neighbours. At this point there might be some food. If it’s winter you’ll most likely get… wait for it… SOUP! How on earth do you eat soup whilst holding a drink and a conversation at the same time?? Commenter Imelda adds: “you know why we serve soup at parties, right? Because its cheap 😉” Her words, not mine. Kids will probably be served broodje knakworst (a hotdog in a bun) and chippies (a cute word for crisps). In summer there will probably be bread and leverworst (liver sausage) and hopefully some oude kaas (literally: old cheese) Yum! Then, come 6pm it’s time to leave. Yup, the Dutch have start and finish times for their parties! Could it have something to do with the fact that it’s the birthday boy or girl’s job to buy all of the food & drinks for the occasion? And while we’re on the subject… Work in an office? You’ll also need to buy cake for the whole workforce. Happy bloody Birthday! 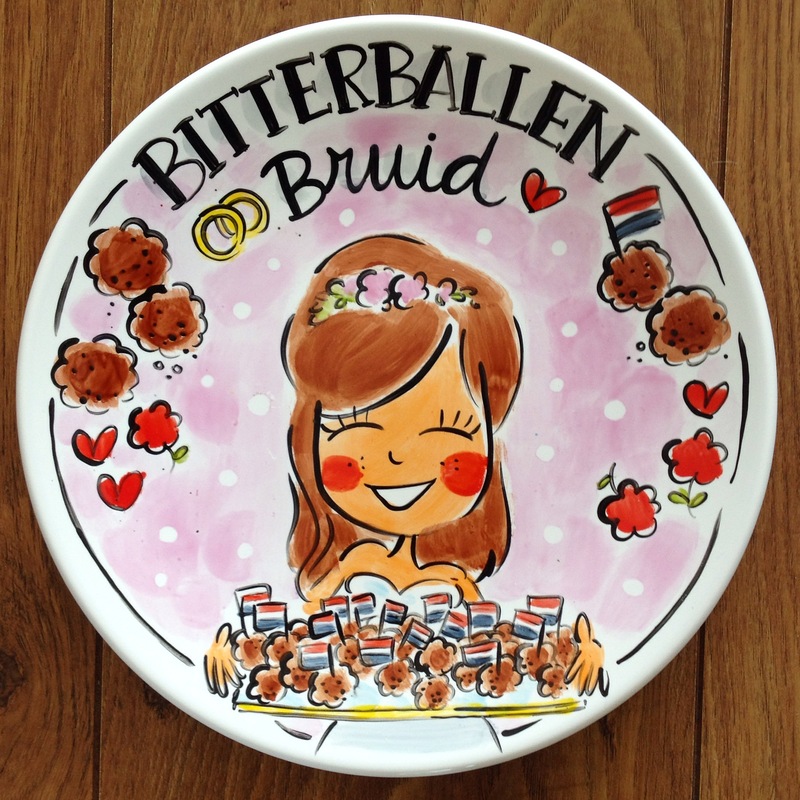 Have you been to a Dutch birthday party? What did you think? Yes, that’s a typical old fashion Bday party. But usually our friends invite us at about 4pm and you stay for dinner (eaten sitting in a circle..). In winters it varies a lot, but in the summer it’s always a BBQ. And at our house we start with cake and after dinner we end it with… leftovers from the cake. Never enough chocoletcake right?! Thanks for your entertaining comments on our (sooo normal) traditions! 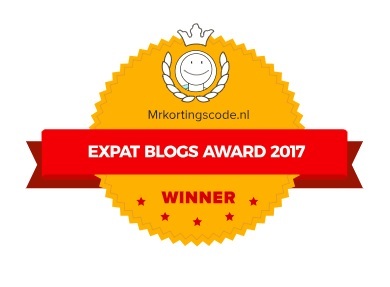 Love reading your blog, married to a Canadian for 33 years who lived in Holland for 22 years and I now am in Canada for 11. Alles zullen we eerlijk delen is typisch Nederlands tenslotte. Enjoy your observations thoroughly. The Dutch are certainly a quaint lot, but I do miss their rituals…..Since I cannot participate in them any more it is lovely to read about them described so accurately by you. Hang on. You’ve forgot the part where you don’t eat the cake until the birthday boy/girl eats theirs. Also! if you bring a present, they open it immediately! (like, while standing at the door to greet you!) In the US, we either put it aside and open it later or if it’s for children, gather everyone around at the end and open all of the presents together. In England, you’re lucky if you can sit down. Most people just stand… in the kitchen… because that’s where the booze is! And we British folks would always have savory first. I was laughing out loud because I know exactly what you mean. I dated a Dutch girl five years ago and I had no idea I had to do this stuff. So I was the socially incapable boyfriend who didn’t care at all. I still remember the wine with was bought in a carton bought in the Aldi (like a carton of milk!). And the endless discussions (as I am a Belgian) about Chocomel, because we called it Cecemel (as the trademark for Chocomel was already taken in our country). I miss the Netherlands though. I learned how to be social over there. I’m a fan of your blog! Keep on writing! I’ve been to friends parties where people have come in and congratulated everyone, not just family, but friends as well 😛 I really can’t get used to that! When my sister in Rotterdam has her birthday, it is an all-day and into the evening event. Newcomers get cake with coffee or tea, then the snacks and drinks are served, which builds up to some savory items, like quiche, lasagne, a cheese plate with bread and crackers and, yes, soup. Then as the party ends, it’s back to coffee and cake, and a “borreltje” which is what the latecomers also get. Sometimes, the whole cycle gets repeated if she gets a lot of evening visitors. We do handshakes all around, with introductions as needed, and we congratulate the immediate family only. The triple kiss is for family and close friends. An all-day party!? What a rule breaker!! Glad that she sticks to the majority of the Dutch birthday party etiquette though! 😉 And I sure hope the ‘Circle of Doom’ is in operation? i wrote about this as well in my blog hehehe i experience the same !!! If I can avoid it I steer away from the kissing. I wave my congratulations vaguely to the circle and save my kisses for the nice people. But some of the older uncles follow you around just to get their dose of lipsticked cheeks…. A friend of mine once had a relationship with a girl from New York who studied in The Netherlands. Through her ‘cultural’ class she got to know of this fenomenon. Sadly (or luckily, either way you look at it) me and my friends don’t do birthdays like that. So we staged a birthday complete in Dutch style. It was the most amazing and fun weird as can be (non)birthday (we just appointed a random person who supposedly had his birthday) we ever had. Everyone played along nicely with many awkward moments to boot. It was hilarious, still puts a smile on my face thinking about it! Haha, I love this, so accurate! However, this is just family birthdays, it’s completely normal to throw a friends-birthday party as well and have booze and savory snacks and just party! At least, when you’re young that’s normal. In my family only the really close friends would be allowed on the family party, it would be quite strange to have friends and family mixed (unless you throw a bigger party, but then it wouldn’t be a circle of doom style party). At my boyfriends parents house they hate the circle of doom, so the mother always finds a place outside of the naturally forming circle, which in no time forms a new circle, then when she has the chance he chooses a different spot again (so for instance if the circle is forming in the couch area she sits at the table, then as a circle around the table is forming she stands up and goes for the kitchen etc) until there are several small groups, but you have to maintain them by switching very often, otherwise a new circle will form! Lol! Agnes wrote the comment I was about to! The BD party you describe is normal for people with families or elderly people. For the younger folks, it’s normal to host this typical party in the afternoon for your family (and maybe some close friends), and then in the evening just a booze&snacks party that definitely does not include a sitting circle ;). However, I don’t really get the thing about the cake: it’s birthday cake, so you eat it to celebrate the birthday right? Or do people in Britain eat the cake as a dessert on a birthday? The second! Always savoury first… and then the cake. I still don’t get it. You eat cake in the morning with coffee, cake in the evening with coffee, or you offer cake and wine/beer to someone who comes around 4 pm at your party (they are not appriciated and gone before 6 pm). Savoury first…and what do I do with my cake? Save it for dessert? So what do I do with my icecream? Oh my gosh the circle seating and the food … For me the most confusing part is that there seems to be some sort of unspoken rule about when you should and should not be eating. If the food is on a table in the middle, at a given moment everyone will have only the kroket and won’t have touched the stokbrood … or if we’re still on the cake, everyone is HOLDING their cake but nobody is eating it, and suddenly everyone goes in at once! Not even after singing ‘lang zal ze leven’ or anything, just in the middle of a conversation about anything. Does this happen to you too or am I part of a mysterious circle? I’ll tell you all about younger people’s parties after we land… Theme parties, Troma punch, puking in Grobbo’s bed, sleeping in bath tubs, nobody’s arriving before nine, snacks at exactly 10.30, drinking lukewarm beer (you people actually enjoy that) with cigarette stubs in it, uitsmijters for breakfast…. So true, we are both english living here for an age now. Always makes me laugh when my husband gets congratulated on my birthday, he really had nothing to do with my entry into the world. And on the cake thing, even at evening parties you get offered tea and cake, being typical Brits we refuse and ask for a drink, well it’s 9pm we’ve only just finished dinner, can you tell we’re not Dutch, no 6pm dinner for us. I am a Dutgman for over 61 years, but, never had to eat soup at a birthday party, i never heard of it either, must be a local thing. I always HATE the circle thing, but I think it’s so indoctrinated, somehow the circles are everywhere. In a club too for instance, you all stand in a cricle and dance, even when you’re with a big group. And oh, if you ever try to break the circle anywhere.. it’s a waste of energy, somehow the circle will automatically reform itself. I really love your blog!! haha I feel such a fool to be Dutch now love to read how weird we are! Yep, totally accurate description of a Dutch birthday party apart from the soup thing. Never had that at a birthday party, but that’s maybe because we always went in the evening. Hate the circle of doom. But, fortunately for us we’ve managed to duck most of the birthday parties. If you do that long enough you’re taken off the inner circle list. 😉 Where we live, in Limburg, you even have two circles of doom at a (birthday) party. One for the family of the wife and one for the family of the man. Ridiculous. I once tried to mingle between both circles. It was a waste of time and apparently not done. I moved from the west (Hilversum actually) to the south and am regarded as a “Hollander” by my Limburgse family-in-law, which means that you will never fit in whatever you try. I don’t think there are rules by Dutch Birthday Parties, it is just how we are used to do it. I’m used to give 2 parties. One for family and related people and one for my friends. With family u sit down, talk and eat. With friends first u sit down, talk, eat a snack and when the disco or bar opens we go there and party. We always invite people by mail telling you can come over after 11AM and leave whenever u feel like it. You can eat dinner with us if u want because then we will get some friet(chips), Chinees. When I was little we always ate soup with bread (and cheese or ham) for dinner with the fam. Because we always do this, it’s normal for us and it was weird to read that it’s ‘weird’ for u. When there’s a birthdayparty over here, I always put homemade eggsalad on the table for on toast or stokbrood (French bread). My homemade eggsalad is always the 1st one gone when combined with other little snacks like young cheese cut into little cube-shaped pieces, ham rapped around asparagus, extrawurst (boterhamworst) rapped around pickles, crisps & (sometimes homemade) dip, little tomato balls (about 1cm diameter), slices of salami and other sausages. Don’t serve cake/pie anymore because of all the leftovers, not that I mind leftovers, it will get eaten in the days after. But to save money and prevent a couple of extra pounds…. 😛 The leftover sausages like salami usually end up in a pastasauce. I as a Dutchie, we sit in a circle that’s right, but we buy so much cake that we offer the people cake when they come, and mostly the coming around 15.00 and stay till 21.30 what they want really, we getting chinese, so everyone can eat what they want, and after dinner, we have more cake, and coffee, and after that we have the chips, peanuts, lots of other stuff, and we eat cake the day after because we have so many! hahaha , but i hate birhday parties, i prefer just with my parents and sister doing something nice. with Teenagers it also goes a bit different.. when I have a party it look a lot more like what you said about a English party… boose ( if you are allowed by your parents) music and a lot of standing with some cake ofcourse… we often stay at the persons party till like 1AM and after that we will go to a bar. You usually have to congratulate everyone at the party, not just the family members. I always forget. 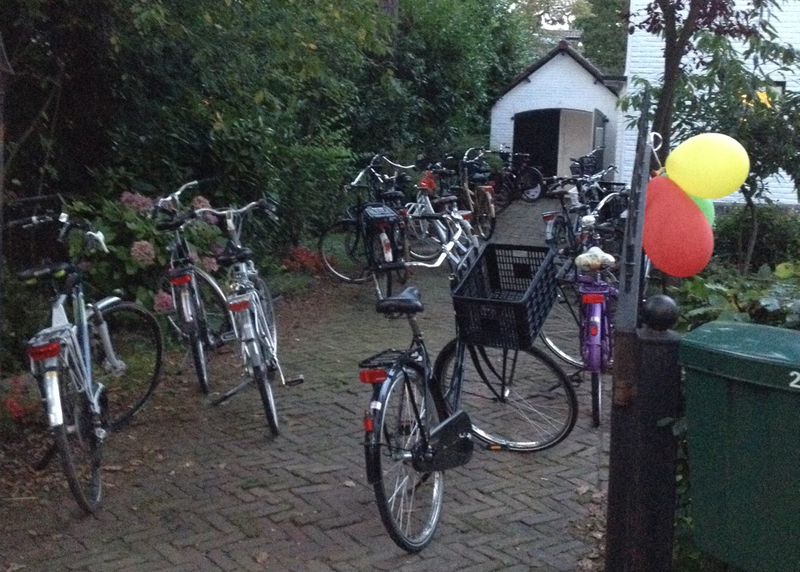 This is a very typical Dutch birthday… but only on old school birthdays. If teenagers have parties, it’s mostly in a tent in the backyard (or inside if you’re house is big enough), and serve the boose, loud music and a shitload of snacks so you can roll home instead of cycling home. So, as a typical Dutch person, I don’t agree with most of these observations.